Kinect is very popular in Maker/Hacker community. Kinent can help you to detect human motion easily, and people already made so many projects with it. Here is one of the project by combing VR glasses and Kinect, you will be inside a VR world and interact with virtual objects. AUTOM: the weight loss coach. 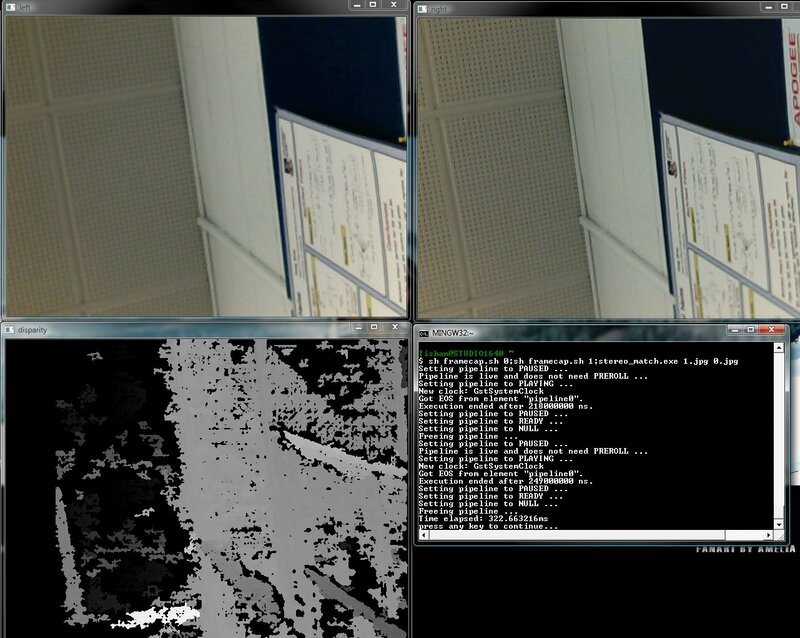 OpenCV Face Detection: Visualized from Adam Harv on Vimeo. 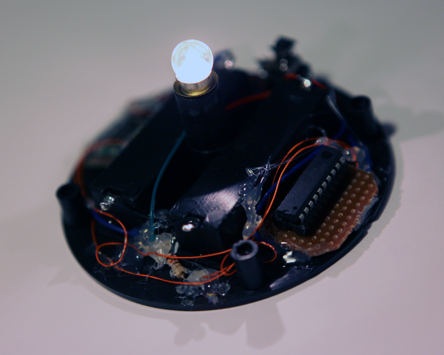 It is a cool project by Radu Motisan, he made a robot and control remotely with his Android Phone via Bluetooth. 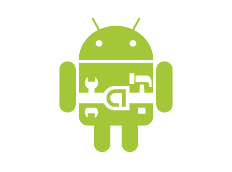 Source codes for both Android (bluetooth control) & ATmega are available on his website! Previously, we discussed about bluetooth module used with Android Nexus One, so today, we would like to present our latest project here "Android controlled wireless lamp", We want to do somethings meaningful with the bluetooth module with Android, so we modify a small lamp and adding the bluetooth connectivity to it. Sometimes, we may put the phone in bedroom, and we will not know someone is calling. With the bluetooth connectivity, it can communicate with your Android phone at least 10 meters or above. You can put the lamp near your TV or anywhere you stay. Also, you can use Android as a remote control to turn on/off the lamp (or any devices). What else can a robot do in the future? Let's play vollayball with her. Why not! Another cool robot from Toshiba, company in Japan. 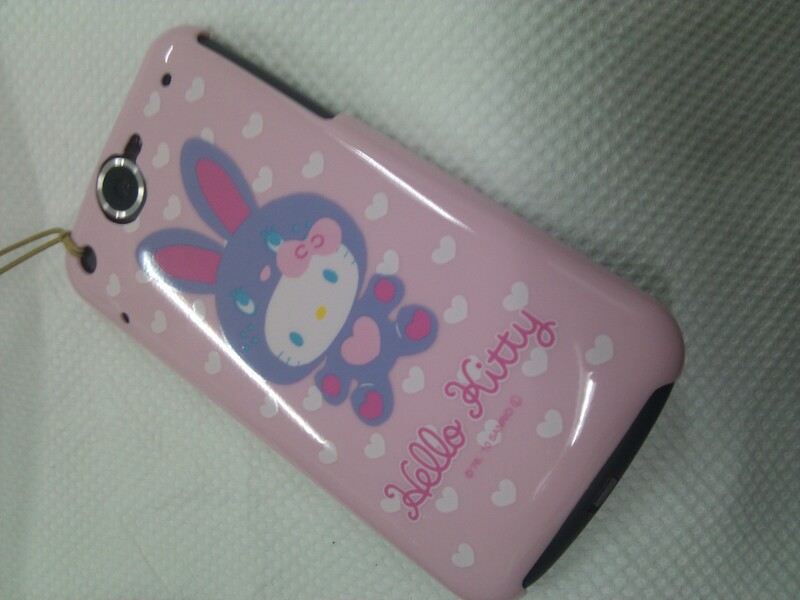 Android is becoming more popular in US, but there is still not so many fancy phone cases available on the market like iPhone 3G/3Gs. 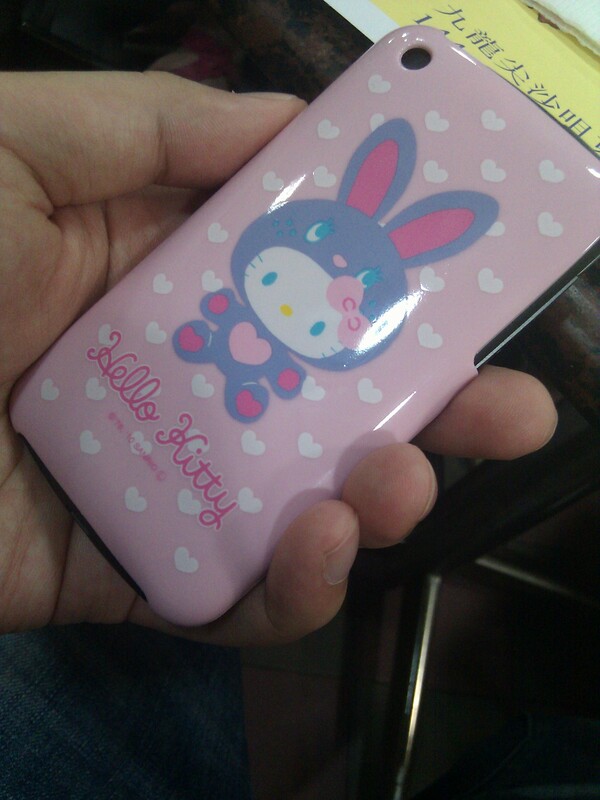 I found out some Iphone 3G/3Gs cases can be easily modified to fit on Nexus One, so I give it a try. with the right hand side, upper and lower side opened. 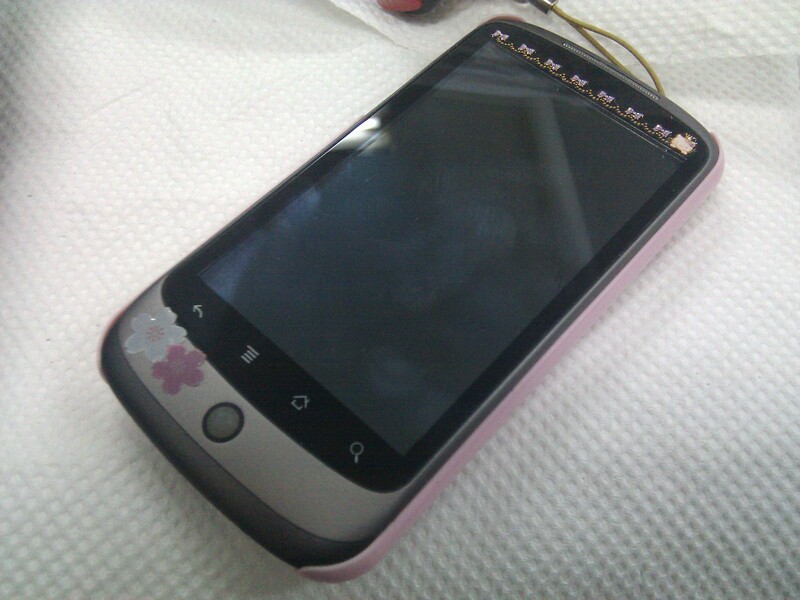 So you have the USB connector, power button and volume button fit for your nexus one already! By using infra-red laser and web camera to capture hand movement and finger taping to create a invisible mouse! Neat project. 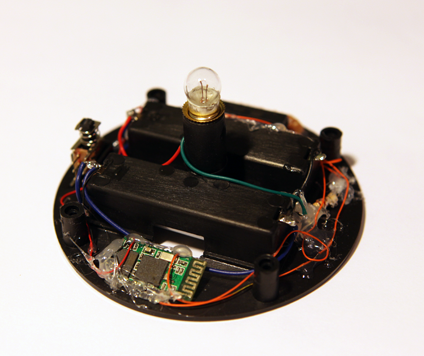 This is a DIY project called "touchless touch switch led lamp", it uses a capacitance sensor IC to detect the wave of your hand. It is truly awesome, the Minamo by Taichi Inoue (Minaemo means "Surface Water" in Japanese). By putting a monitor under the tank, you will control the mouse pointer on the water surface, it is so cool. 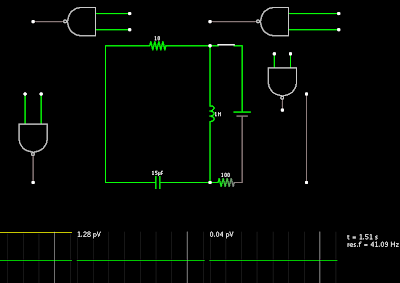 Letsmakerobot.com improved one of my old project, "2 Hour Love Project", they added a Attiny2313 to make it can display words other than static "Love" text. Schematic & codes are available on their website. With the advance AI, face recognition and text-to-speech engine technologies nowadays, We will see a robot that can understand you, express her feeling and talk to you in the coming future. The "Zeno" robot that is affordable for consumer, he can understand what you are saying, and response to you. After some studies, I found out that in Android 2.0, Google enhanced the Bluetooth API and come with an Bluetooth Chat sample for communicating devices with RFCOMM (SPP profile). So I did a try and it really works very well! Let's try it out! The Bluetooth module that I used is a very tiny one with PCB antenna, it can control device over 10 meters at least, good enough for small project:) It is programmed to use as RFCOMM, so it can act as a wireless UART, good fit for all the MCU! With only 4 wires, 3.3v/Gnd/Tx/Rx, no programming needed, you can directly connect the module to your MCU UART. 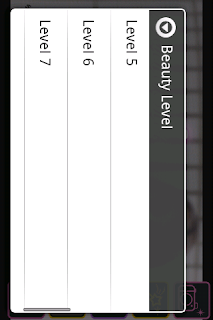 For the bluetooth sample code, you can find it in the Android SDK or here. Can you imagine while the LED is lighting up your desk and streaming video to your laptop at the same time? Scientist he Semi-conductor Institute of Chinese Academy of Sciences designed a wireless internet communication system using only Blue LED lights on the ceilings. The maximum speed is around 2Mbps. We knew that the mind control is the future, and we don't have to wait, the Emotiv, the mind controller, is available on market! You can play games with this controller or even control a robot! It is really awesome, may be we can see a single ball robot in the near future. It knew it is a bit creepy, but still a good research in simulating human mouth and how to pronounce words. BeetleCam, a project to use remote robot to take photograph, but in the wild! It is so cool to gather so many robots! many cool people there! Segway, is not only provide a personal mobility system. They also make few mobility platforms called Robotic Mobility Platform (RMP) for industrial use. It is very impressive to see how the Segway RMP used in fire training! I used to work with wire wrapper when I was in the University. I think it is very useful when you don't want to get your hand dirty with the soldering iron. It is good for fast prototyping, and also suitable for your kid when they are too young to use the soldering iron. wire wrap how-to from j saavedra on Vimeo. This is a very neat project, basic idea is using the camera in your notebook and keep detecting your smile. If a smiley face is detected, it will insert a smile to wherever you are typing. Auto Smiley - Computer vision smiley generator from Theo Watson on Vimeo. The MPT engine used in this project seems can be used to detect different expressions other than smile. Cool. Cute robot powered by iPod Touch. 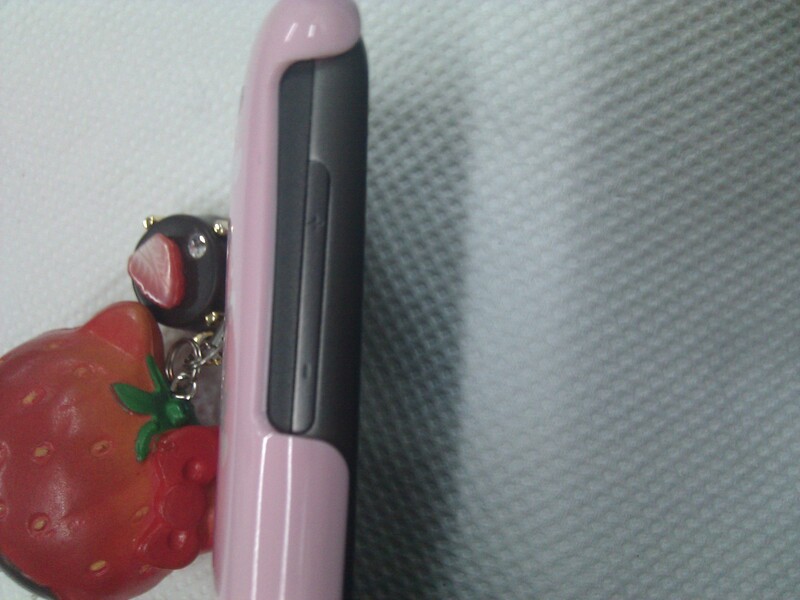 Many people got an iPhone or iPod touch, there are many products built around them, like fancy speaker and HiFi. But this cute robot is absolutely awesome, simply put your ipod touch to the dock inside him and It would turn your ipod touch to a robot. It can talk to you, look at you and tell you about the information around the world. It is a very clever design, with the CPU power, OS and connectivity provided by the iPod touch, it can open unlimited possiblities of this robot:) May be third party application developer can develop applications for this robot too! Honda: Bodyweight support assist device. R2-D2 is one of the famous robot in human history. Victor Franco, who is making remote controlled R2-D2 from scratch at home, which is very impressive! Waterpebble reminds you to save Water! It is bad, as we are wasting more water. A cool product introduced by DryPlanet called Waterpebble. It is a small waterproof device to monitor your showering time. But how it works? First, it will record the time spend of your first shower with waterpebble. Next time, when you shower with waterpebble, it will measure the water flows and will give you a RED signal if you are overrun! Developed by macetech.com, a RGB LED table can response to twitter posts. It is gorgeous! MIT Flyfire, draws everything in the Air! You can see the FriendlyARM with 7" LCD in this photo, it is really cool! Once installed the Android, you can open the WebKit browser and surf the net with Wifi. Congratulation to him, and please check it out if you live in Philippines! Home made DIY LED projector. Getting a decent projector may be very expensive, with limited budget, how about consider to make one yourself? Found an article about making LED projector in Instructables, it is awesome. OctARM - Octopus inspired robot. Robotic Vibraphone playing MIDI file. I always want to build a robot that play MIDI on real instrument. Recently, I discovered the "Meet Marv" project is what I want. Marv is a MIDI Actuated Robotic Vibraphone, which can play MIDI file, it is used for future research on musical automation (cool!). My Geeky Valentines' Day gift for her. Just want to share with you all about my latest work for the Valentines'Day 2010. 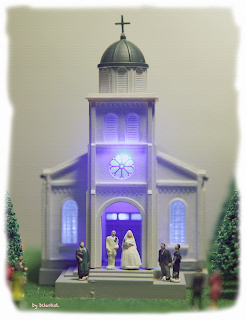 This year, I would like to try something new, I made a church & wedding model for her. I get all the components or models from tomytec, a japanese company made 1:150 scale plastic model like house, church, car etc. 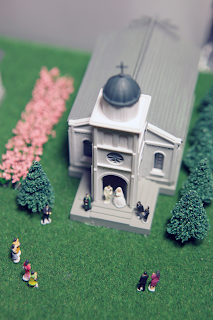 I bought a church, tree, flowers and also people models, and start to arrange them in place. I found some photographs of church online, so the arrangement should look real. 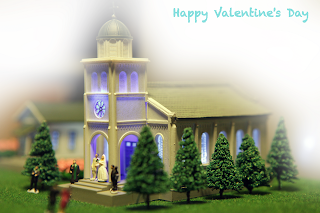 Most importantly, I added LEDs inside the church, with the USB power +5V, the model look even better at night:) Lets take a look of the photo & video. "Happy Valentines Day" all of you! 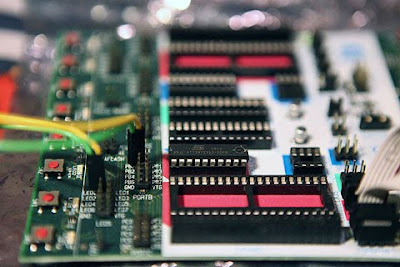 JTAG exists in many processors based on ARM and MIPS core. It is useful for debugging and writing flash. Also, there is a free, powerful JTAG tool for Windows & Linux called "Openocd". It supports ARM7 (ARM7TDMI and ARM720t), ARM9 (ARM920T, ARM922T, ARM926EJ–S, ARM966E–S), XScale (PXA25x, IXP42x) and Cortex-M3 (Stellaris LM3 and ST STM32). You can use it with different JTAG dongles as well. Definitely nice to try it out. Instead flashing new program to your arduino internal flash storage, you can now copy the application binary to the SD card and run on the arduino. With the help of Pyxis OS, you will turn your arduino to be a PDA like system. You can have advanced graphics APIs and also run applications from SD card. The biggest problem is that you only allow to write the application in the Pyxis OS specific programming language:( But it is still cool. EZ-430 Chronos Wireless Watch controlled Door Entry System. Hard to say how cool is it, Lets see the demo! Cool Project, Ziyan! A cute doll with the humanoid body. It is awesome! Now you can order @ TI store for $49. I used AVR tiny13 for most of my small projects, now I am going to move on with tiny2313 because of more IOs available and also with UART support. 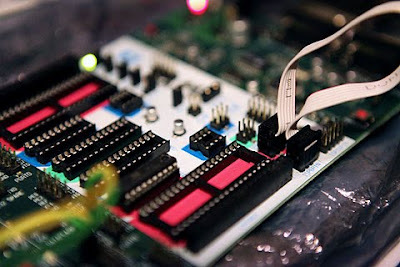 Kaasxxx wrote about programming AVR tiny13 with STK500, so I decide to write my small introduction on programming tiny2313. Step 1. Connect the 6-wire ISP cable between ISP6PIN and SPROG3. Step 2. Put the tiny2313 on the Socket SCKT3300D3. I also connected pin PB0 to pin LED0 (as you see the green/yellow cable) to test my led blink test program on tiny2313.